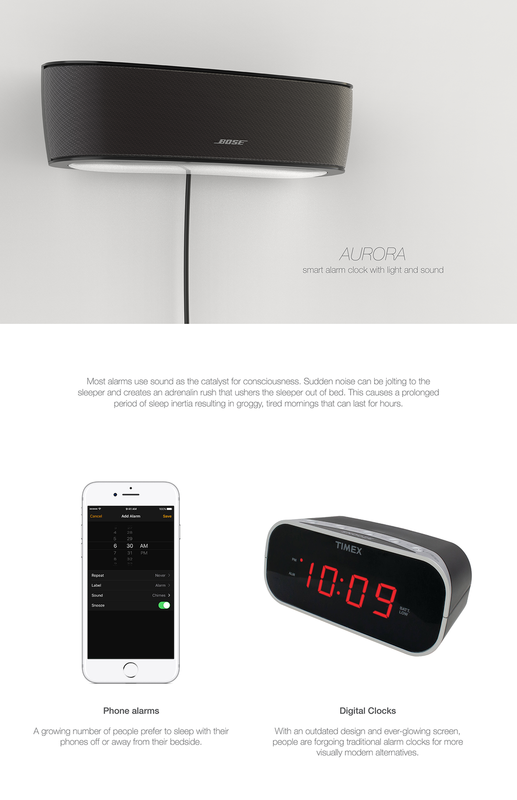 The Aurora Alarm Light concept was created in response to a personal realization that, as a society, we have almost completely abandoned alarm clocks in lieu of our phone alarms. As we become more health conscious and sensitive to the wireless radiation reality that we inhabit, many people are opting to turn their phones off or on airplane mode during sleep. This is an exploration in more natural and integrated ways to induce the most human experience of waking. 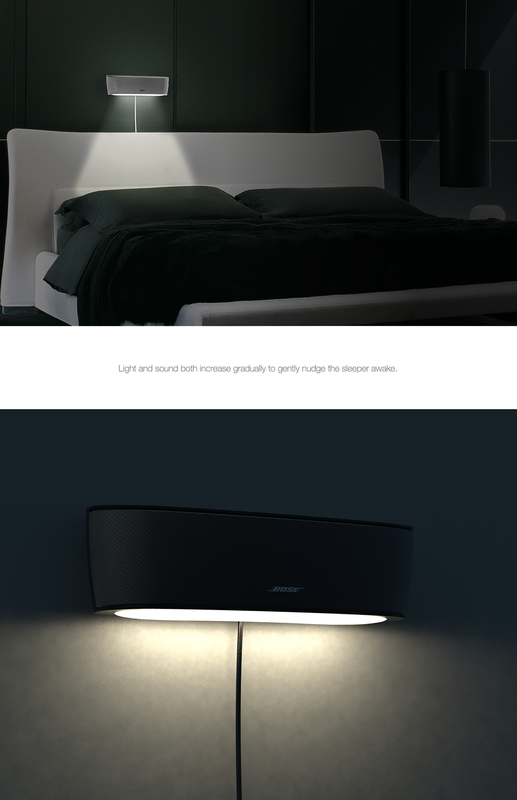 A hanging light and sound system connects to a smartphone to gently nudge sleepers awake. How can an alarm clock help to wake someone up in a gentle, natural way?